Maggie Boyd Feurtado is a NYC native. She attended NYC Public Schools from kindergarten through 12th grade at PS 61, Simon Baruch Junior High School, and Seward Park High School. She received her Bachelor’s and MS degrees from SUNY Fredonia. Maggie has been teaching in the NYC Public School system for 13 years. She presently teaches one accelerated seventh grade class and one seventh grade class at NYC Lab MS for Collaborative Studies (Lab for short) and also taught at Lab High School for 5 years. Maggie coached the varsity math team at Lab MS for 12 years where the team placed first in 2014. Maggie received her certification in gifted education in July of 2015. Maggie also serves as the dean for the middle school. Maggie was a 2014 recipient of NYC’s Big Apple award for teachers. Fred Galli graduated from Brooklyn Tech, where his math team coach was Larry Zimmerman. After careers in television and software development, he now teaches AP Calculus and coaches the math team at Franklin Delano Roosevelt High School in Brooklyn. Fred received his masters degree in mathematics from The Johns Hopkins University. David Gomprecht has been a high school math teacher for 16 years, the last 13 of which he has spent at the Dalton School. At Dalton, he is also a student advisor and a class dean. In addition, David is the founder and teacher of the Dalton Math Seminar, a class in which students tackle challenging problems and learn advanced topics in a relaxed atmosphere. David earned a BA in Mathematics and Physics from Wesleyan University and a Ph.D. in Mathematics from the University of California at Berkeley. He is married, with three children and a cat, and in his spare time he studies the sitar. David Hankin is a very well-respected mathematics teacher with a long and distinguished career. His New York City teaching career spans four decades at both high school and college levels. 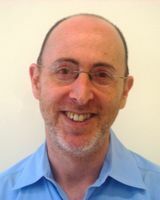 In addition, he served as Mathematics Department Chair at Hunter College High School, Chair of the AIME (American Invitational Mathematics Examination), mathematics education consultant, prolific problemist and author of competition questions, and is a frequent presenter at Mathematics conferences and events. 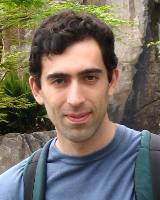 Mr. Hankin was one of the invited graders of the 2001 International Mathematical Olympiad. Aziz Jumash has been a full time mathematics teacher since 2011. During these years, he has taught math team courses from 7th through 10th grade, served as a judge in math fairs, and advised a mathematical publication. Prior to teaching, he worked in corporate finance and private wealth management. Currently, Aziz is a teacher at Stuyvesant High School. In his spare time Aziz likes to travel and learn languages. He has a bachelor’s degree from Bernard Baruch College and a master’s degree from Bard College. Leah is currently a mathematics teacher from Stuyvesant High School who has taught Middle School and High School throughout NYC for the past 12 years, including the coaching of math teams. Her classes have ranged from Common Core Algebra to Calculus and also Introductory Computer Science. She has an MS in Pure Mathematics from Hunter College and a BS in Mathematics Education from SUNY Stony Brook and is also a member of the prestigious program Math for America that enables teachers from all over the city to attend workshops and stay abreast of current issues in the education world. As a student of Brooklyn Tech, Stan was heavily influenced to pursue mathematics by his amazing teacher, Larry Zimmerman. He was a member of the New York City Math Team for four years, being a member of its A Team for two years. After graduating high school, he continued his association with the NYC Math Team by being a coach for the team, assisting with AMC's and grading competitions like NYSML, ARML and PUMaC. In college Stan competed in the Putnam Competition and received the high score in New York during one of the contests, receiving an award from the MAA. Stan is currently the Senior A Contest writer for the NYC Interscholastic Math League and a writer for the NYSML Competition. As a perpetual student of mathematics, Eliza finds herself learning more and more from her students. For the last thirteen years she has been witnessing high school students explore math beyond the school's curricula. She is hoping to participate in this process through the New York Math Circle. Anna Kudlash is currently teaching Honors Algebra II / Trigonometry and coaching Sophomore Math Team at the Bronx High School of Science. She acquired her in-depth mathematical knowledge from the Russian educational system. Her love of mathematics developed during high school after being inspired by her math teacher. As a result, Anna attended the Peoples Friendship University of Russia in which she earned a BS in Pure Mathematics. Her ambition to become a mathematics teacher and pursue further academic knowledge of math motivated Anna to move to the United States and attend Columbia University where she earned her MA in Mathematics Education. 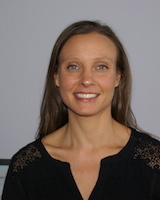 Anna Kudlash is also a recipient of the 2012 Early Career Math for America Fellowship. Amy Lee earned her B.S. from TIME 2000 at Queens College and earned her M.A. from Teacher College at Columbia University. 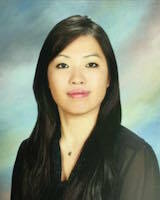 Amy Lee is also a recipient of the 2013 Early Career and 2018 Master Teacher Math for America (MfA) Fellowship. She started her teaching career as a student-teacher at Townsend Harris High School and has taught at New Explorations into Science, Technology and Math for three years. She has coached the middle school and high school math team since 2014. Her middle school team has competed in MATHCOUNTS, Mastermind at Bronx Science, MathCON and Pi 5 NY competitions, winning 1st, 2nd, and 3rd place. Her high school math team has competed in New York City Interscholastic Math League (NYCIML), Atlantic-Pacific math competition, MathCON and Math League also winning 2nd and 3rd place. In 2015, she became the head coach of the New York City Math team, and hosted many talks at New York University. 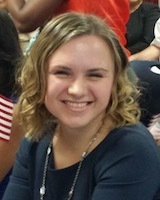 In 2018, Amy was the solution presenter to the MoMathlon competition at Queens College. Besides her teaching and coaching the math team, she loves to bake, travel, and create innovative lessons! Ms. Lin is passionate about STEM education and social justice. She is dedicated to mentoring and helping underrepresented minorities and girls to develop critical thinking, problem solving, engineering, and design skills for the 21st century. For the past several years, she coached math teams and taught middle school math for low income, underserved populations at Tech International Charter School, the Laboratory School of Finance & Technology (MS/HS 223), and the Brooklyn Excelsior Charter School. Ms. Lin herself is a proud alum of the MATHCOUNTS National Competition, as well as the Program in Mathematics for Young Scientists (PROMYS). 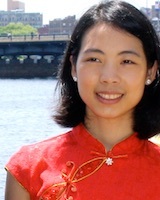 She holds bachelor's degrees in mathematics and biology from MIT, where she served as Site Coordinator and Director of the Harvard-MIT Math Tournament. You can read more about Ms. Lin on her website. 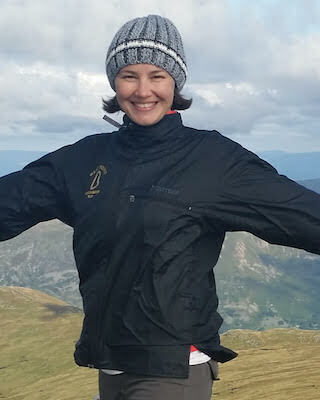 Mila has been teaching mathematics at Fordham University for about 10 years and also has extensive experience with various enrichment programs in the Tri-State Area. Her MA in Education is from Moscow State University. Mila sees the same beauty in an elegant math problem as in a Vermeer painting or Mozart symphony. Sheila Miller, Ph.D., is a professor of mathematics at City University of New York where she teaches and studies infinity. Born and raised in Colorado, she enjoys the outdoors, writing, reading, and, of course, mathematics. She also teaches yoga and meditation. In Colorado, Sheila spent Wednesdays at a bilingual elementary school, providing assistance in fifth grade classrooms and with the gifted and talented program. She also ran the after school program, for which she designed the program and materials and ran the grade 3-5 math circle. David Price teaches 9th grade math, statistics, and an introductory proofs course at Bard High School Early College Queens. David is also the coach of the 9-10 math team and sponsor of the non-competition oriented math club. David attended high school in Texas, where he participated in the Texas State University Honors Summer Math Camp for several years, and received a B.S. in mathematics from the University of Chicago. At Chicago, he worked in the Young Scholars Program and as a TA in the university math department. 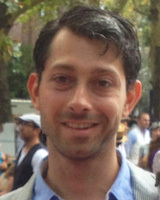 Tom Redis is a graduate of Stuyvesant High School, where he competed on the math team. He later co-coached his college Putnam team at NYU Polytech. He has always been passionate about teaching problem solving and math, and after a brief career in finance lured him away, he returned as a math teacher at Hunter College High School. He is currently an education consultant, working on improving math curricula, creating assessments, and training teachers throughout the Long Island area. He is thrilled to be a part of New York Math Circle and to work with such an enthusiastic group of students. 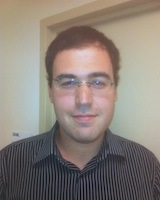 Misha Shklyar is a Columbia University graduate who is currently working on his PhD in Math. He has worked as Junior Staff at HCSSiM and as a math team coach at Speyer Legacy School. He has been working as an instructor for the past five years at Math-M-Addicts and he is excited to be a part of NYMC. 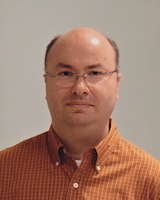 After twice winning the ARML national championship as a member of the NYC Math Team, Jan Siwanowicz came back as coach to the team in 1998. Since then he has been involved in coaching students for high school mathematics competitions such as NYSML, ARML, HMMT, and PUMaC. 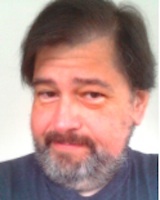 A former problem writer for the NYC Interscholastic Math League and instructor of the Stuyvesant High School mathematics research program, he enjoys passing on to students his experience in team and individual competitions, as well as mathematics research. Jan is a 1994 IMO Bronze Medalist for Poland and a Putnam Fellow. Amy Starks has been a high school and middle school math teacher in New York City for the past twelve years, teaching in both public and private schools. She earned a B.S. in Mathematics from Pace University and an M.A. in Mathematics from San Francisco State University. Outside of the classroom, she enjoys exploring the many cultural and art events in New York City. Amy is excited to have the opportunity to share her passion for mathematics with the students in the New York Math Circle. 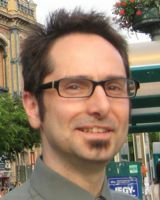 For the past twenty years Sebastian Stoenescu has taught mathematics at Hunter College HS and Stuyvesant HS. He attributes his incessant interest in mathematics to the extremely talented students and faculty that he had the honor to work with. Sebastian is eager to share his knowledge and passion while continuing to learn from his students as part of the New York Math Circle. Barry Weng has been teaching for many years, currently as a math team coach and teacher at his alma mater, the Bronx High School of Science. Participation in the Summer Scholars at City College, Hampshire College Summer Studies in Mathematics, and Budapest Semesters in Mathematics programs have also fostered his penchant for math, which he is now sharing with students through the New York City Math Team and the New York Math Circle. Barry has earned degrees from Brown University and New York University. Patricia Yee is a graduate of Brooklyn Tech where she now teaches! She had an amazing teacher named Larry who continues to inspire her today. 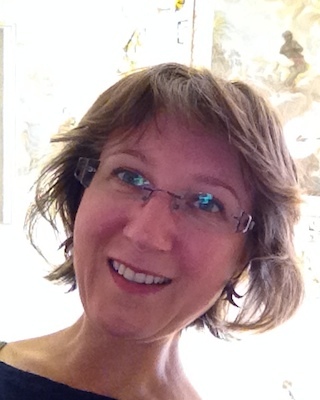 She is a 2010 Math for America Fellow and a 2015 MfA Master Teaching Fellow. 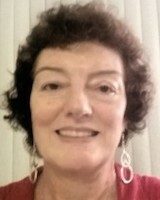 Her interests include baseball, poetry, comics, theater, and sharing her joy of math with her students. She has written a math song that she is particularly proud of. Feel free to ask her about it! 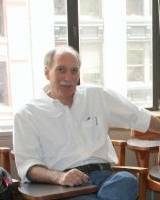 Larry Zimmerman is a well-known and well-respected teacher who has been teaching mathematics for over 40 years. Until 2004 he taught at Brooklyn Technical High School, one of New York City's specialized secondary schools. Throughout his career, Mr. Zimmerman has been deeply involved with Math competitions and has coached students at all levels. 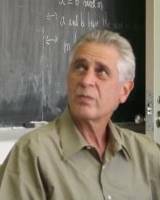 He was one of the two primary authors of the ARML and NYSML competitions from 1983 until 1994 (NYSML until 1992) and was a grader of the 2001 International Mathematical Olympiad. Many of his former students have enjoyed distinguished records of achievement and include Intel (formerly Westinghouse) Science Talent Search finalists and USAMO and IMO participants. 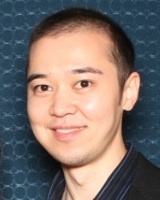 Kovan has taught mathematics in London, Hong Kong and New York and has worked at different times as an astrophysicist, a medical researcher and a portfolio manager, applying mathematics in these different fields. He graduated with a First Class Honors degree in mathematics from Oxford University, also obtaining a Master's degree. He obtained a further Master's degree from the Courant Institute (NYU) and a PhD in Statistics. He has published research articles in General Relativity and Respiratory Science, and still enjoys working as an instructor even though his main role at NYMC is administrative. Alison has an MBA in Finance and Accounting from Fordham University's Graduate School of Business, and a BS in Management from NYU's Stern School of Business. She worked for over 12 years in the financial industry: Thomson/Reuters in Investor Relations Consulting and Lehman Brothers in Equity Research. 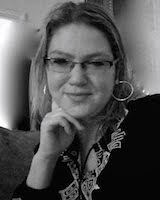 Additionally, Alison has been a private tutor in Writing and Math for gifted elementary and middle school students. She loves to write, travel and photograph priceless moments. Joy Hsiao is a NYC public school teacher for the past 20 years. 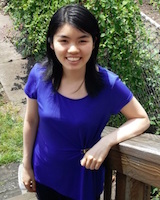 As a student at Brooklyn Technical High School, Joy participated in the Hampshire College Summer Studies in Mathematics program, competed in various state and national math competitions, and was a semi-finalist in the Westinghouse (now Intel) Science Talent Search for her research in combinatorics. As a teacher she has coached school math teams, judged math fairs, and taught students on all grade levels. 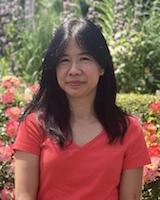 During her spare time, Joy enjoys folding origami, paddling with the Arowana Dragon Boat team, and teaching origami and math enrichment courses at local libraries. Joy’s artistic creations had been displayed in galleries and her studies in origami had led to a published article in the Mathematics Teacher in August, 2015. Joy earned her BA in Mathematics and MA in Teaching from the University of Chicago. Jack Po is currently a PhD student in Biomedical Engineering at Columbia University working on computational biology. He is heavily involved with math competitions, and currently serves as an advisor to the NYC Math Team, Baltimore County Math Team, and Florida State Math Team. He is also an adjunct faculty at the City College of New York's Graduate School of Education, helping new math teachers transition into NYC Public schools through the NYC Teaching Fellows program. Prior to starting his PhD, he worked briefly at Capital One and Fannie Mae as a business analyst. Jack received his BS in Biomedical Engineering from Johns Hopkins, and received his MA in Mathematics from Johns Hopkins as well. Jack graduated from Stuyvesant High School in 2001. 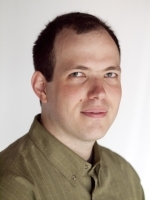 Dmitry Sagalovskiy currently works at Grist Labs, a software startup which he co-founded. 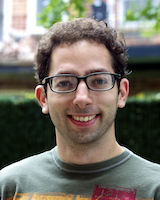 He previously was a software engineer at Hudson River Trading LLC, a trading firm relying on advanced mathematical modeling and high-performance computing. He worked at Google for several years in the past, and had a brief stint teaching mathematics at his alma mater Brooklyn Technical High School, where as a student he first became enthusiastic about mathematics. 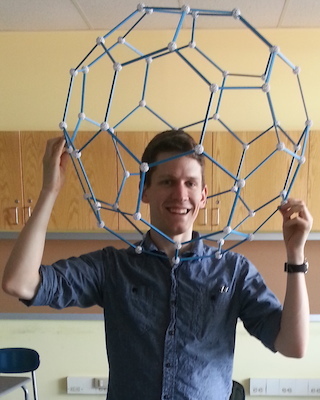 Besides volunteering at New York Math Circle since its inception in various roles, Dmitry has volunteered at ScriptEd teaching computer science to high school students, and has taught a home-based math circle for elementary school students. 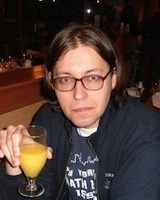 Dmitry received his BA in Mathematics and MS in Computer Science from Harvard. Japheth is a mathematician who believes that math circles can provide mathematical inspiration and challenge, and thus deepen the mathematical experience and preparation of all students, young or old. 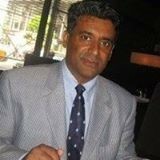 He earned his BA in Mathematics from Washington University in St. Louis, his MA and PhD in Mathematics from UC Berkeley, and has held academic positions both around the US and internationally. 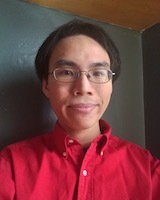 While in high school, Japheth benefitted from the technical challenge of math competition, was inspired by his participation in the Hampshire College Summer Studies in Mathematics program, and was hungry to read mathematics, including Martin Gardner's columns, the short-lived Arbelos math journal, and Hoffman and Kunze's Linear Algebra. Dan Zaharopol is the Executive Director of the Art of Problem Solving Foundation, where he founded the Bridge to Enter Advanced Mathematics (BEAM) program, which helps underserved students access advanced study in mathematics. He previously helped to found and was CEO at Learning Unlimited. Dan enjoys teaching all kinds of math at programs across the country. He has a bachelor's degree in math from MIT, and dual master's degree in math and in teaching mathematics from the University of Illinois. Ms. Zhang has recently taken the position of superintendent of New York Military Academy, after serving for 4 years as the Principal at Stuyvesant High School, considered one of the finest high schools in America. Born and raised in China, Ms. Zhang majored in Electrical Engineering at Tongji University in China. After earning a bachelor’s degree, she came to NYC to continue her education and received a Master’s degree in applied mathematics. Subsequently, Ms. Zhang has spent her entire career in education. She began her career teaching incarcerated women at Riker’s Island, and continued teaching Mathematics at Forest Hills High School in Queens. 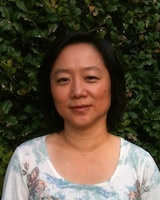 Following her years in the classroom, Ms. Zhang became an administrator. 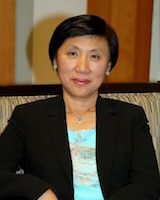 In 2006, Ms. Zhang was selected to serve as the Principal of the Queens High School for the Sciences at York College, one of the Specialized High Schools in New York City. With this appointment she became the first female NYC Principal who grew up in mainland China. After serving there for five years, Ms. Zhang became a Network Leader for Children’s First Network 201, which supported over 30 high schools with a combined population of 50,000 students. In 2012, Chancellor Dennis Walcott named her the interim acting Principal of Stuyvesant High School. She was officially appointed as the permanent Principal 6 months later. Ms. Zhang’s journey through the New York City educational system has been impressive. She is a successful and very well respected educator. After 28 years of service to public education, she is proud of and excited by her new role as Superintendent of NYMA.